The Universal bus service will be extended from next month. A new timetable will see the addition of earlier and later buses on Mondays to Fridays, later buses on Saturdays and a new Sunday service. 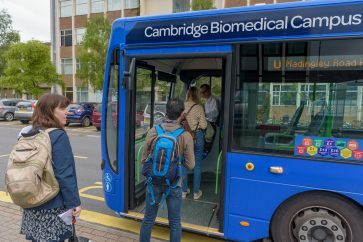 The Universal bus service links the new community of Eddington with West Cambridge, Cambridge Railway Station and the Cambridge Biomedical Campus (including Addenbrooke’s Hospital). 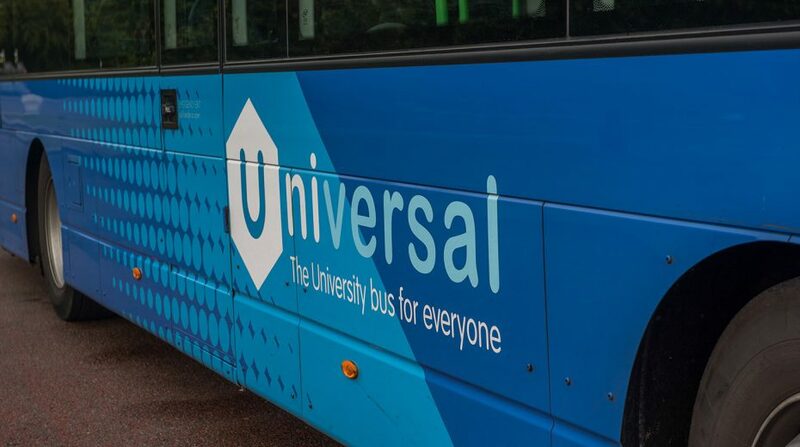 The Universal bus service currently runs up to every 15 minutes on Mondays to Fridays and up to every 20 minutes on Saturdays. 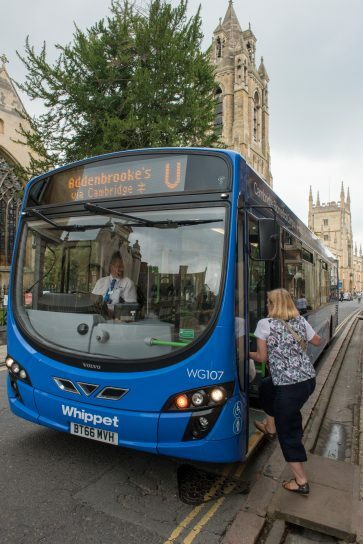 It is operated by Whippet Coaches on behalf of the University of Cambridge. The first bus from Eddington on Mondays to Fridays will be 05:58 instead of 06:49. Evening journeys on Mondays to Fridays will run until 21:33 from Eddington and 22:07 from Addenbrooke’s Hospital. On Saturdays the extra evening journeys will run until 21:46 from Eddington and 22:15 from Cambridge Railway Station. 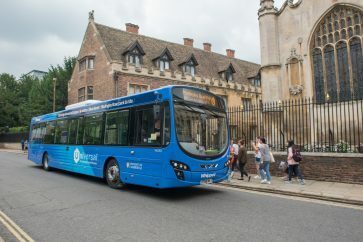 A new Sunday service will see buses run from 07:50-18:45 from Eddington and 08:15-19:10 from Cambridge Railway Station, running every 30 minutes between approx. 11:00 and 17:00. The changes come in response to growing patronage and feedback from users and the wider community. Tickets will continue to be only £1 per journey for University card holders, but the normal adult single fare of £2 will increase to £2.20. In its second year of operation, there were 552,976 passenger journeys on the Universal service, a 55% increase compared to 2016-17.